For any band to thrive on the road for nearly thirty years, there needs to be a constant source of renewal, a fresh spring of creativity at the center of the music that brings each member back for more. For Leftover Salmon, one of the great purveyors of Americana, this source came first from the American roots music traditions they came up with: bluegrass picking, Cajun two-stepping, the country blues. 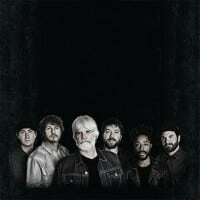 For all these years–over the course of their rise to become one of the biggest bands on the roots music circuit today, with legions of fans and routinely sold-out shows–Leftover Salmon have picked up many more influences. Much of this comes from the interactions between the founding members’ roots and the newer band members, who bring refreshingly different influences and ideas to the songwriting process. With their new album, Something Higher, due out May 4, 2018 on LoS Records, Leftover Salmon taps into everything from horn-blasting R&B to reverb-drenched desert noir, from the cosmic roots music sound they helped create to neo-New Orleans-meets-Appalachia liquefaction. For the past quarter-century, Leftover Salmon has established itself as key to the Americana genre, digging deep into the well that supplies its influences; rock ‘n’ roll, folk, bluegrass, Cajun, soul, zydeco, jazz and blues. They are the direct descendants of bands like Little Feat, New Grass Revival, Grateful Dead and The Band, born of the heart and soul of America itself, playing music that reflects the sounds emanating from the Appalachian hills, the streets of New Orleans, the clubs of Chicago, the plains of Texas, and the mountains of Colorado. They’ve endured over all these years, earning their unequivocal stature as a truly legendary band.